Winemaking has a long tradition in Prague. Vine has been grown here since medieval times. Although the vineyard situated on the premises of residential homes Albertov Rental Apartments was planted only in 2009 after the houses were completed, it builds on the best of winemaking traditions..
On starting the vineyard, our winemaker František Kettner had to tackle soil shortage, planting the vine almost into rock in some places using a jackhammer. This is why the vine must be watered more frequently here. The vineyard contains about 850 heads of vine of three varieties: Rhine Riesling, Phoenix and Pinot Noir. The vine is “head-trained” in a traditional way, producing higher quality grapes and looking more attractive but also requiring greater care. 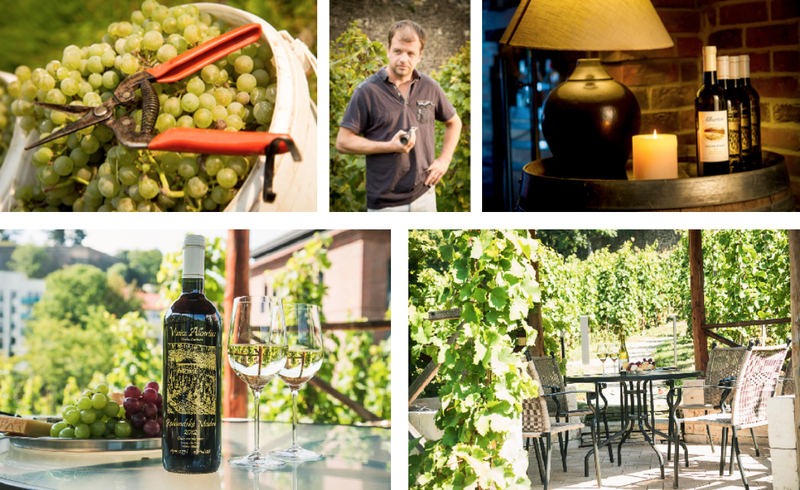 Mr. Kettner follows traditional procedures of wine growing, such as integrated production. In contrast to modern agriculture full of chemicals, he aims at greater harmony with nature. Lofty as it may sound, it has entirely practical impacts. One of the examples is the use of grassing between the vine rows. Grass binds nitrogen to a higher extent and doesn’t therefore need to be fertilized so often. At the same time, the grass provides food to pests that would otherwise attack the vine. Last but not least, there are more earthworms aerating the soil thanks to the grass. In spring, the year-long cycle of vineyard care begins. First, it is necessary to do the spring pruning, with the vine heads being clipped and treated against weeds. In early summer, the vine starts growing wildly and must be tied to the poles around which it grows and trimmed at the same time. In the first half of June, the vine comes into bloom. What’s best for the vine is when the following week is sunny and dry so that it can go out of bloom fast and evenly. Otherwise, there is a risk that the vine will go out of bloom unevenly and some grapes will be more ripe and sweet than others. From June to August, the work on the vineyard is the most intensive. It must be constantly made sure that the vine is not attacked by fungal diseases that can destroy the entire crop. And then, at the turn of October, the grape harvest arrives. František Kettner has winemaking in his genes. His great-great-grandfather was involved in restoring Prague’s vineyards at Grébovka. Although self-taught, he took care, from 2008 to 2013, of St Wenceslas’ Vineyard at Prague Castle, which he had helped to restore. He comes from the Mělník Region, where the winemaking tradition is very strong and where the Kettner surname enjoys a good reputation among winemakers. He drinks red wine over the winter and white wine in the summer. As he points out, each wine has its own health effects and is suitable for different opportunities. 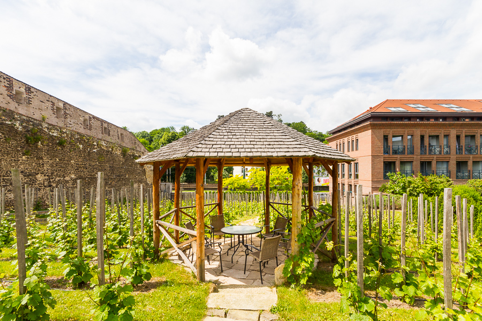 The Albertov vineyard is presented from 2017 as a part of the Prague Vineyard – The Vineyards of the Capital City.